Anupam Kher is one of India's most respected actors, with a career spanning over three decades and scores of memorable roles. The 60-year-old has even made the transition to Hollywood, appearing in movies like Silver Linings Playbook and the Netflix original series Sense8. He's obviously got the whole cool dad vibe down. But have you ever wondered what Anupam Kher looked like back when he started his career? Well, this is him from Saaransh, one of his earliest films, way back in 1984. Yup. That's Anupam Kher when he was 29 years old. 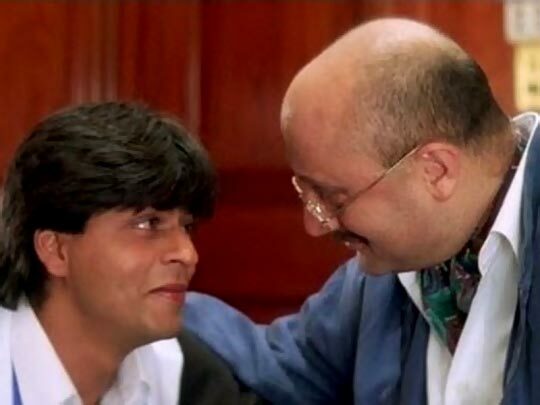 Yes, we know that's also due to some good make-up work, but this picture proves that Anupam Kher started his career playing an older man, and then he kinda never stopped. Aaaaand this is him in 2015. Over 30 years have passed, and this dude basically looks the SAME. Here's a glance at the looks he's donned in some of his most famous roles over the years. Hence proved: Anupam Kher has looked 60 since he was 29. That's alright, though, because for over 30 years, he's been one of the most loveable actors in the industry.